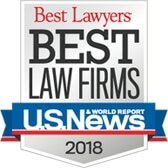 The New Jersey auto accident lawyers of Eichen Crutchlow Zaslow, LLP, are recognized among the leading teams of auto accident, personal injury, and wrongful death litigation lawyers representing people injured in any type of accident involving a motor vehicle on a New Jersey road or highway. Before you talk to an insurance adjuster about a settlement, it pays to learn your rights. We offer a free, no-obligation consultation to evaluate the circumstances of your case. There are many different types of car accidents and many factors that contribute to car accidents. When you are injured in a traffic crash that was caused by the negligence of another driver, you may have grounds to take legal action and pursue compensation for your injuries. 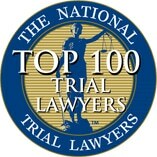 In the National Highway Transportation Safety Administration (NHTSA) study, the National Motor Vehicle Crash Causation Survey (NMVCCS) reported that the critical reason for 94% of traffic crashes was because of driver error, which the study broadly categorized as recognition errors such as distracted driving, decision errors such as speeding or following too closely, performance errors such as poor directional control, and non-performance errors such as drowsy driving. Nationally, there were 37,461 traffic fatalities on U.S. roads in 2016, which was up 5.6 percent over the previous year. Drunk driving deaths and speeding deaths increased while distracted driving and drowsy driving-related deaths decreased according to the NHTSA. Why are there so many auto accidents in New Jersey? The state of New Jersey is home to some of the nation’s busiest highways and the New Jersey Turnpike servicing the New York City metro area. Our roads are among the most congested in the nation. In 2017, the NJ Department of Transportation reported that there were 273,473 traffic crashes with 62,690 injury crashes and 570 fatalities, which is up from 522 traffic fatalities in the previous year. New Jersey is one of just three states in which insurance policyholders are allowed a choice between limited tort and full tort personal injury coverage for their policies. In cases of car accidents involving a driver with limited tort coverage or an uninsured driver, recovering full and fair money damages for your injuries often requires aggressive litigation, as you may be suing your own insurance company to recover the amount over and above the coverage by the other driver. We have extensive experience representing clients in cases of complex insurance issues. What damages are available to me after a serious car accident injury? We will make no promise about how much you should receive in a settlement or jury verdict. We will promise to provide the most effective, vigorous representation you will find in the state. And we have a record of recovering hundreds of millions of dollars in verdicts and settlements in personal injury claims to back that up. Once the shock of having been injured in a car wreck wears off, you mind will likely be abuzz with questions about what happens next. How will I be compensated for the time I am losing at work? Who is going to take care of these mounting medical bills? How do I know if anyone else is responsible for causing the accident where I was injured? These are just a few of the questions that you should bring with you to your free consultation with an experienced New Jersey car accident attorney from Eichen Crutchlow Zaslow. Your peace of mind is our primary concern. Our work is to investigate the accident, determine the parties at fault, and pursue full compensation for your injuries and losses. Eichen Crutchlow Zaslow have secured more than $750 million in jury verdicts and settlements on behalf of our clients who have suffered injuries because of someone else’s negligence. We have won high-profile cases which have earned us national attention in the media, but we never lose sight of our client base of everyday people who sustain injuries and require competent representation. 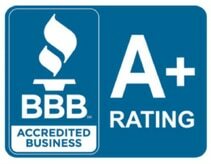 Each award-winning attorney on our team is accredited by the Better Business Bureau, and our partners have received the designation of Civil Trial Attorneys by the Supreme Court of New Jersey. 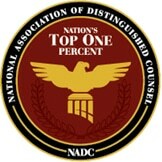 We do not stop until we have recovered the compensation you and your family need. Your case is important whether you come to us, or we come to you in the hospital. From offices in Edison, Red Bank, and Toms River, our personal injury attorneys advise and represent clients in personal injury and wrongful death litigation matters throughout New Jersey. From wherever you are, call our office at 732-384-1331 or contact us online to arrange a free consultation with an experienced New Jersey car accident lawyer at an office nearest to you.